Sprint Corp, the wireless carriers, proposed a merger with Charter Communication as it seeks alternatives to a merger with T-Mobile US that has not come to fruition, says an unnamed source close to the situation. Softbank Group Corp, based in Japan, controls Sprint and proposed a transaction that would bring about a new entity that Softbank would control, said the source. The discussions have been confirmed by independent third parties. No guarantee exists that Charter would even have interest in a deal with Sprint, said the source. The market capitalization for Charter is $94.6 billion, which is far more than that of Sprint, which ended trading on Friday with a value of $32.8 billion. Verizon Communications had also expressed an interest in taking over Charter earlier in 2017. 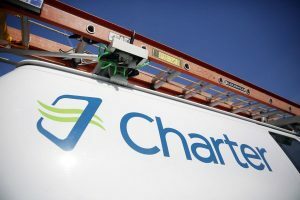 If Charter agreed to merge with Sprint, it would have to receive the blessing of Comcast Corp the No. 1 cable provider in the U.S.
Comcast and Charter announced in May an agreement that bans either of the two from any material transaction in wireless for one year without the consent of the other. Sprint and Comcast would not comment on the possible negotiations, while Charter, T-Mobile and Softbank did not respond to requests to make comments. Shares of Sprint were up 5.8% in trading afterhours on Friday, while shares of Charter increased slightly. Sprint has looked at different solutions to increase its turnaround, make its financial health stronger, and compete better in the fierce wireless industry in the U.S. Earlier in July, Sprint held talks about receiving billions of dollars in funding from Berkshire Hathaway, owned by Warren Buffett and Liberty Mutual owned by John Malone, but no deals have resulted in those talks. Sprint was in a period of exclusive negotiations for two months with Comcast and Charter over the possibility of a wireless partnership. Those talks put the merger talks of Sprint on hold with T-Mobile US. The period of exclusivity ended but the talks with the two companies have continued. Despite hurdles with regulators, investors have expected for quite some time a deal between Sprint and T-Mobile, the No. 3 and No. 4 largest wireless service providers in the U.S. respectively, anticipating cuts in costs and other important synergies. It appears T-Mobile is not in any rush to push for a merger, although it acknowledged interest in talking with Sprint.